Hello, world. Our classes in Alabang are practically filled up and I decided to open another date for PIZZA class for kids: May 20 Wednesday, 10am to 2pm. 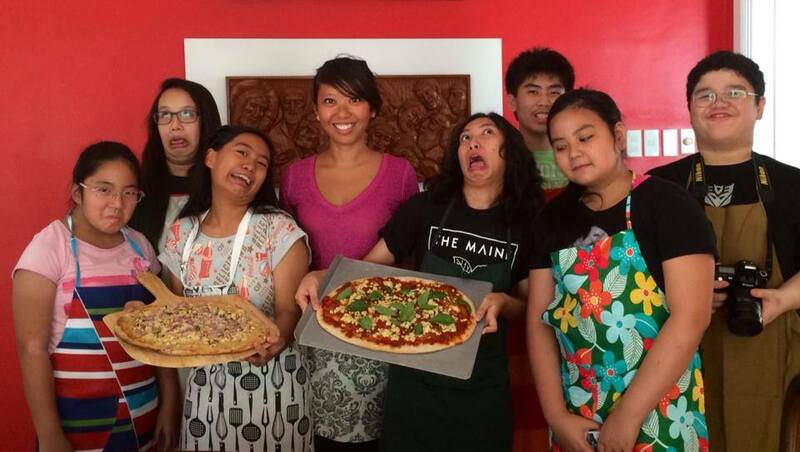 In this class, the kids will learn how to knead pizza dough from scratch and make 4 amazing pizzas: Veggie sausage pizza, Garden barbecue pizza, White mushroom pizza, and Potato pizza. We’ll be making sauces and the dairy-free cheese from scratch, too! 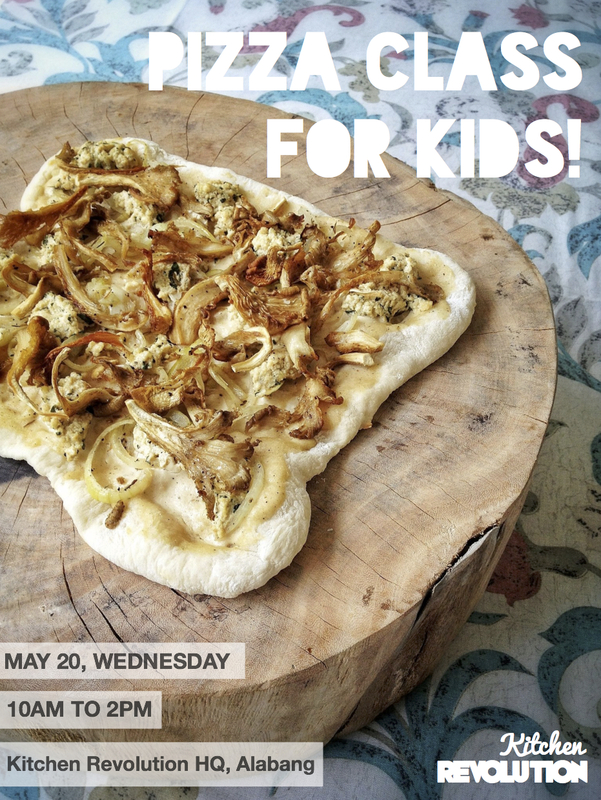 Send your kid to this class and make him / her bake guilt-free yummy pizza for you at home!! RATE: from P1250-1500 / class depending on the number of classes signed up. Check out this post for details on other kids’ classes. Note that the May 20 Pizza class is fully booked, and so are May 12 Pasta and May 14 Chocolate. However if you are interested in these classes, there is a waiting list and if it is big enough I can open new dates for these classes. To register and get the address, text 0917-894-5086 or email info@kitchenrevolution.ph.